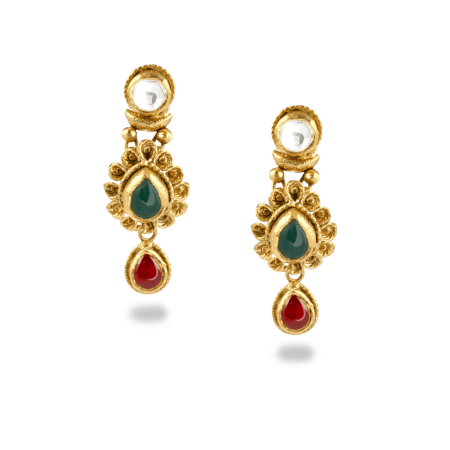 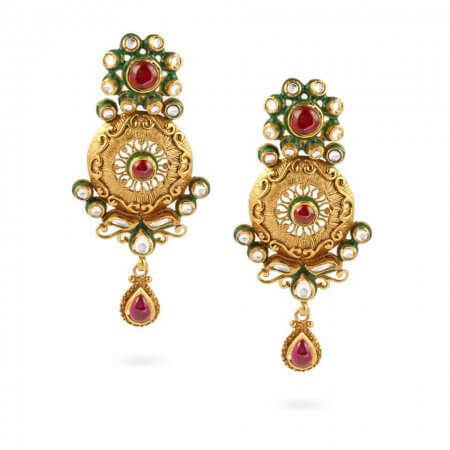 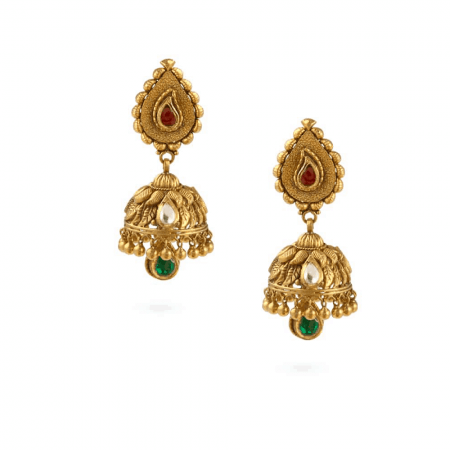 Prettier than a Christmas bauble – our traditional Kundan earrings glow with red, green and gold. 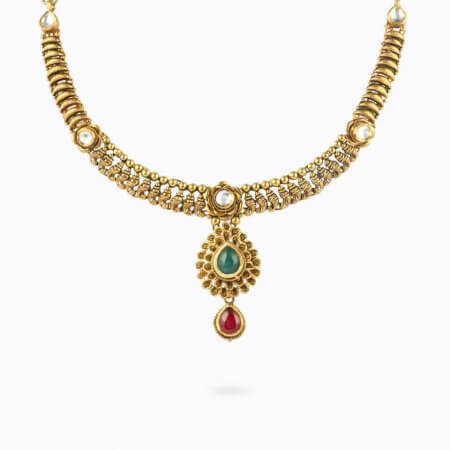 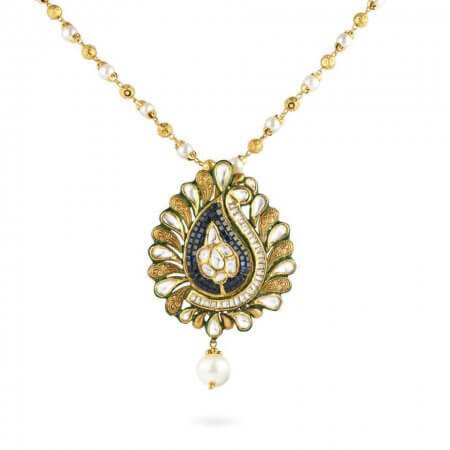 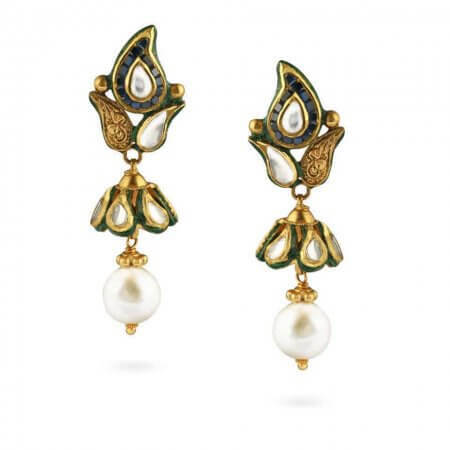 Enamelwork (meenakari) contrasts beautifully against the high shine of 22ct gold and generously sized gemstones. 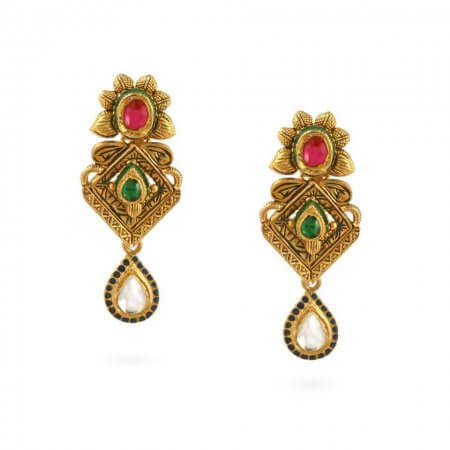 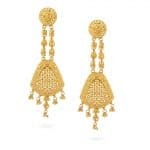 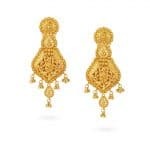 An authentic design that is sure to delight anyone with a fond connection to her Indian heritage.